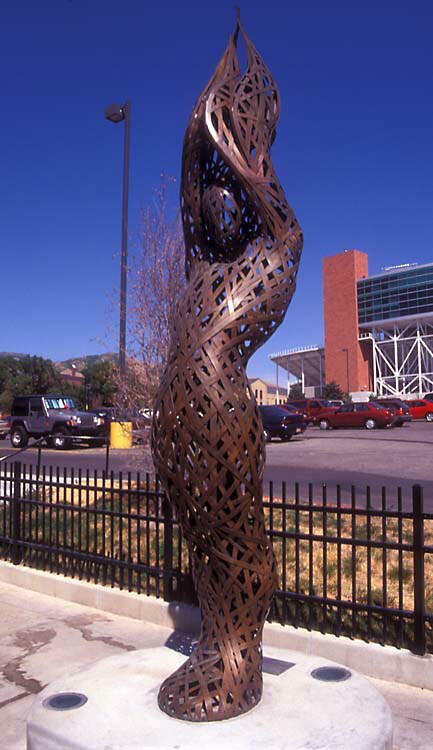 A graceful and powerful welcome to the University of Utah campus, Flame Figure blends an ideal sense of the human form with the elemental energy of fire. 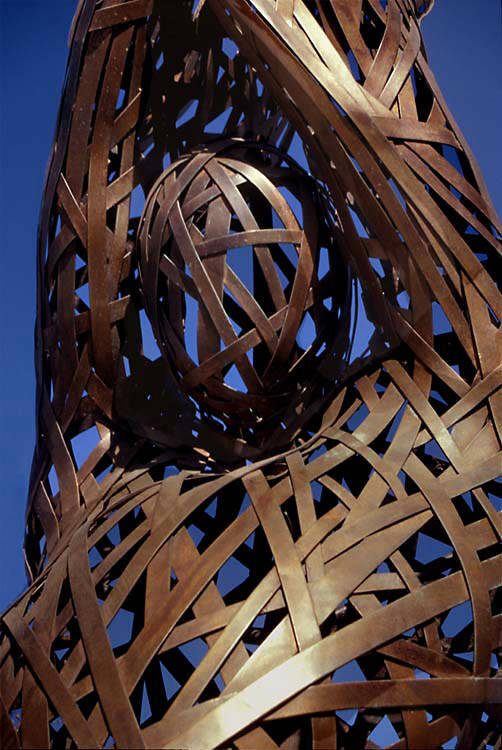 Light, air and woven bronze alloy define a space that is both internal and external – massive, yet yielding. The towering figures reaches skyward, an inspired representation of human endeavor.